In football, in every position, there have been innovators. Nilton Santos and Giacinto Facchetti had huge impacts upon the role of a full-back, Matthias Sindelar and Nandor Hidegkuti revolutionised the role of the withdrawn forward or ‘number 10’ and Franz Beckenbauer redefined the sweeper or ‘libero’ role. In terms of goalkeeping though, there is one man who stands head and shoulders above all else. There has been perhaps no player who has had as great an influence upon one single position as Amadeo Raul Carrizo has had upon the position of goalkeeper. The first goalkeeper to wear gloves, the first to regularly venture outside of his penalty area and the first to recognise the importance of goal kicks as a method of launching attacks; Amadeo Carrizo is a real titan of the game and a man with an incredible story. The first in a long-line of eccentric South American goalkeepers, Carrizo was born in Rufino, Santa Fe, on June 12th 1926. The small city of Rufino in the province of Santa Fe has a population just shy of 20,000, and is a hefty 5 hour drive from the footballing hotbed of Buenos Aires. Despite it’s modest population, Rufino has produced no fewer than three full Argentina internationals, of which Amadeo Carrizo is the most notable. Nicknamed ‘Tarzan’, the innovative shot stopper moved to Buenos Aires and joined River Plate as a teenager, and made his debut for the club in 1945, aged 19. A baptism of fire, Carrizo was handed his debut as a youngster against Independiente, but fared well, and River won the game 2-1. River Plate were already something of a dynasty in Argentina when Carrizo joined the club, with 7 league titles to their name. River were nicknamed ‘Los Millionaires’ in the 1930’s due to their incredible spending power, most notably spending £23,000 on Bernabe Ferreyra in 1932, more than doubling the world record transfer fee at that time and setting a record that wouldn’t be broken for 17 years. Into the 1940’s the club earned themselves a new nickname, ‘La Maquina’, which translates as ‘The Machine’. The phrase, coined by a Uruguayan sports journalist, was given to them because of their fluidity, dynamism and efficiency. It was this side which Carrizo entered, and emerged alongside a number of other future stars of the game. The most notable of these was Alfredo Di Stefano, arguably the most complete footballer of all-time, and without doubt one of the most talented. Di Stefano and Carrizo were born less than a month apart, and both made their River debuts in 1945. Whilst Carrizo would remain at the club for the next 23 years, Di Stefano’s talents took him across the world, first to Colombia and then to Spain, meaning he spent only four years at River. In those four years though, a young Di Stefano managed 53 goals in 72 games, helping the team to win four trophies in that time, including two league titles and two Copa Aldao’s. Carrizo began to become a real pivotal figure at the club in the 1950’s. His confidence grew with regular first team football and a new style of goalkeeping was introduced to Argentina and the world. The ‘Loco’ style of goalkeeping employed by the likes of Rene Higuita, Hugo Gatto and Jose Luis Chilavert are all imitations and advancements on the style practiced by Carrizo in the 1950’s. His first achievement as River Plate’s regular first choice goalkeeper was a third league title in 1952, accompanied by success in the Copa Ibarguren the same season. More league titles were to follow in 1953, 1955, 1956 and 1957, making it 5 for Carrizo as first choice goalkeeper and 7 in total. The raised eyebrows that had been prompted when Carrizo first began to exhibit his eccentric approach to goalkeeping was clearly effective and now earning considerable respect. In 1954, aged 28, Carrizo was handed his Argentina debut. He lost his place to Boca Juniors goalkeeper and the grandfather of Barcelona star Lionel Messi, Julio Musimessi, for the 1955 and 1957 South American Championship’s, but returned for the 1958 World Cup. Having won the South American Championship’s in 1957, hopes were high for the World Cup a year later, but Argentina had a disastrous tournament. Dumped out in the group stages, Argentina finished bottom of their group, winning only one game and suffering a humiliating 6-1 defeat to Czechoslovakia, a game in which Carrizo played, made all the more damning when Czechoslovakia themselves failed to get out of the group. As Argentina’s role on the international stage began to fade, so too did River Plate’s. They no longer dominated the game in terms of finances, as major European teams in particular began to overtake them. Di Stefano left in 1949 during the footballers strike over wages, and the teams next world superstar of a forward Omar Sivori left the club for Juventus aged just 22 setting a new world record transfer fee, an indication of the power shift that was occurring in world football. Following their 1957 championship win, River failed to win another league title until 1975, seven years after Carrizo left the club. The 1960’s are considered the darkest time in the club’s history, and 18 years without a trophy represents by far their longest barren spell. They came close in 1962, finishing as runners-up in the league to arch rivals Boca Juniors and led 2-0 at half-time in the 1966 Copa Libertadores final, before losing 4-2 to Penarol. Carrizo remained the club’s first choice goalkeeper until his departure in 1968, aged 42. His next club were Allianza Lima of Peru, where he played only once, before heading to Colombia. From Los Millionaires of Argentina, Carrizo joined Los Millonarios of Colombia. The Bogota-based club were one of the biggest clubs in the country, with nine league titles to their name when an ageing ‘Tarzan’ arrived on the scene. The 42-year-old shot stopper still made a lasting impression in Colombia though, playing 53 games in a little under two years at the club and winning the Mustang Cup. He finally hung up his gloves, the same gloves that had revolutionised goalkeeping forever, at the age of 44, in 1970. Amadeo Carrizo retired having won 10 trophies at River Plate, 7 league titles, 5 of which he won as first choice goalkeeper. He had 20 caps for Argentina to his name, including one forgettable World Cup appearance. His career had spanned 25 years, 23 of which he had spent at River Plate, where he played 520 games, making him the club’s all-time record appearance holder. At the time of his retirement, Carrizo also held the records for the most appearances in the Argentine First Division and the most consecutive clean sheets (8), both records which have since been surpassed. Carrizo’s career was more than impressive statistics and records though. 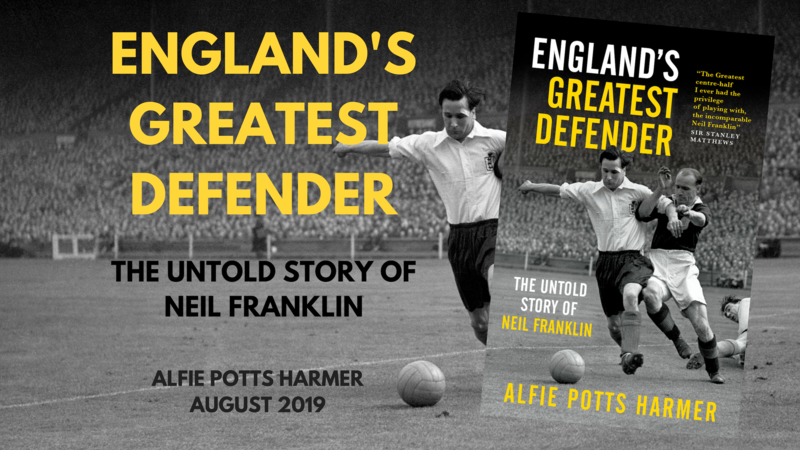 The world of goalkeeping will be forever indebted to the man who reshaped the way in which the position was played almost beyond recognition. No single player has had such an influence upon a single role within the game before or after, and for that, Carrizo’s legacy will always be great. The ‘Loco’ goalkeepers who have graced the beautiful game ever since from Higuita to Chilavert have brought us hours of joy, and it is to Carrizo we owe our thanks for their madness and daring. 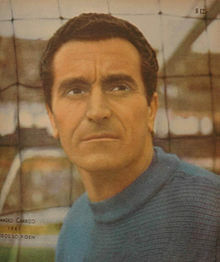 The IFFHS ranked Carrizo as the tenth greatest goalkeeper of the twentieth century, ahead of legends such as Gyula Grosics and compatriot Ubaldo Fillol. Aged 89, Carrizo is still alive, and has held the position of honorary president at River Plate since 2013.